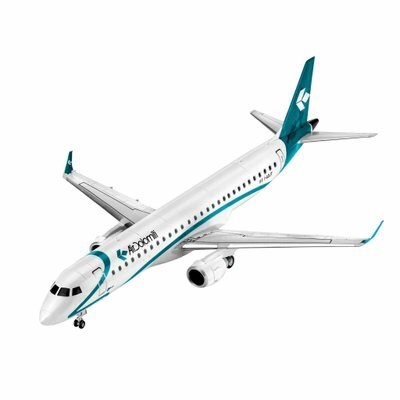 The E195 is largest aircraft of the E-Jets family, which consists of four commercial jets - the E170, the E175, the E190, and also the E195 - and entered into the market 2004. The E195 was designed by Embraer, the world s largest manufacturer of commercial jets up to 130 seats, and one of Brazil's leading exporters. One popular user of the E195 is Air Dolomiti. This airliner operates ten E195s between Munich and Italy for carrying 120 passengers each for both business and vacation. Azul Linhas Aéreas Brasileiras S.A., a Brazilian airline, operates the largest fleet of this jet type in the world. Since the E-Jets entered revenue service in 2004, Embraer has received 1,700 firm orders for this aircraft family. More than 1,200 have been delivered.